I wonder what time it will be when the clock just belches out a loud CHIRP! 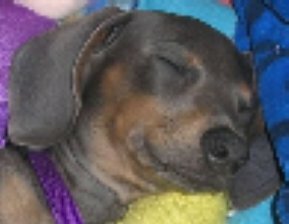 as shown in the picture. Could be a Batman clock? 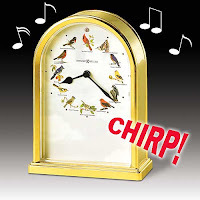 I actually have a patient who has one of these clocks and the first time it "chirped" it scared the life out of me. It was right behind me and I never saw it coming!I am telling you, shut ins will order anything from the mail order catalogs! Sadly, these types of clocks are favored by the elderly. I'm sure there is a cat clock out there that meows on the hour.